This member of the Orchidaceae family was given this name by Richard M. Bateman, Alec M. Pridgeon and Mark Wayne Chasein 1997. It is found in Algeria and Morocco (and maybe in southern Europe and western Asia? ), growing in grassland in a well drained soil with some water and some sun. 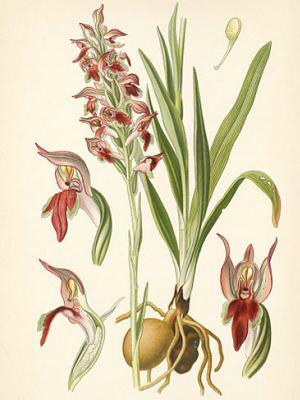 The bulbs will grow to two or three centimetres, the plant up to 15 centimetres, even 60 with the inflorescence, bearing the white to light pink and brownish red or maroon flowers which have an unpleasant smell.